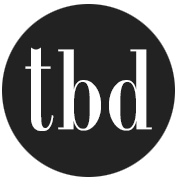 After getting so many emails and messages from our readers asking us how to start a blog, we finally decided we should devote a whole page to it. Through this post, I am going to aim high and hope I can walk you through the initial steps to get you up and going as a blogger. You CAN do this! And along the way, I hope to share with you what I (we) have learned, for good and for bad, and maybe, just maybe, save you a little bit of that learning curve! Do we really make good money doing this? Yeppers. This is our full time, and only jobs. There are two of us, mind you. And it took years of trial and error and I almost gave up on blogging at one point. I am NOT going to tell you this is easy, or an overnight deal. It is not. 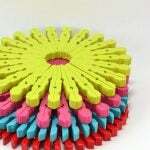 But it IS possible, and it is rewarding, and it DOES give you tremendous flexibility with your daily life. 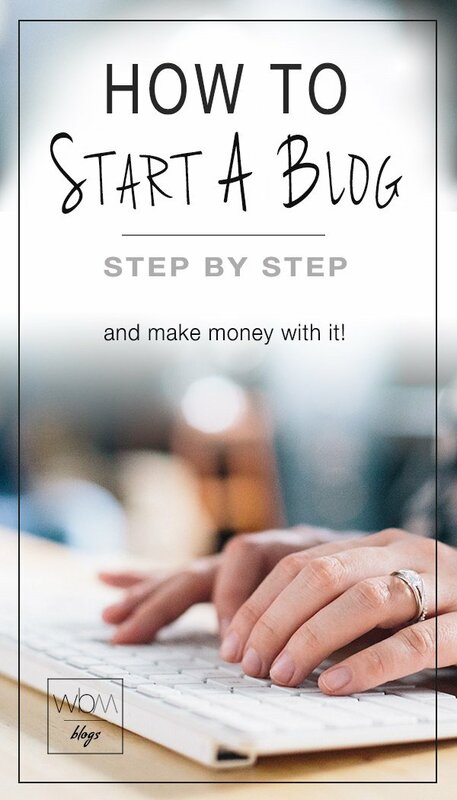 But the first thing you have to do if you want to be a blogger, is actually start your blog! That can seem pretty intimidating if you aren’t a computer whiz, but it’s a lot easier than it looks. We’re going to walk you through, step by step complete with screen shots and directions. First, you need to know what you want to blog about. I know, I know, it seems there are a million bloggers out there, and there are. But that doesn’t mean that there isn’t room for one more with a unique voice. While there was a day when I would have told my readers, “choose a subject to blog about that doesn’t have much competition”, that day is over. Every subject has competition. So do it better. Choose something you love, that you know about, that people want to read about, and that is marketable. Still not sure? Spend some time looking through Pinterest and see what is popular and what speaks to you. The old saying holds true, do what you love, and the money will come. THE THREE STEPS FOR STARTING A BLOG! A couple of definitions before we get started so that we’re on the same page. Domain name – A domain name is the name of your site that identifies you in the web browser. 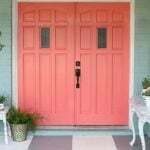 For instance, this site is TheBudgetDecorator.com. 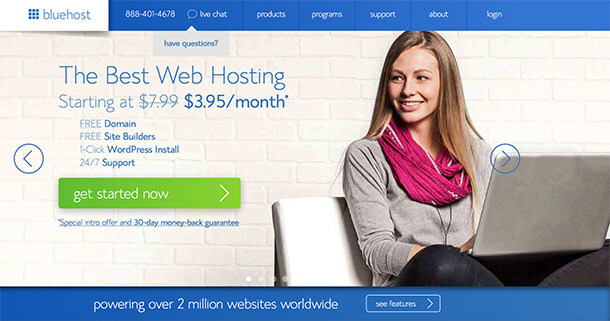 Web Hosting – A web host provides the technology and storage that allows your website to be viewed on the internet. WordPress – WordPress is the most popular platform for bloggers on the web. It is a content management system that allows you to create everything you see on your website, from text to graphics. We are with a web host called Synthesis now. But that might be a bit of overkill (and quite expensive) for somebody starting out. Before that, we used Bluehost. We were with them for years and they were very affordable and reliable. And right now (as of this writing) they are offering some killer deals, which is a big plus when trying to start a new blog without spending a lot of money. We are going to take you through the steps to sign up through Bluehost. Head on over right now to Bluehost, and you’ll see a screen like this…. Click on the “get started now” Button. The first thing you will do is simply select your plan. We suggest picking just the “basic” plan. You can alway upgrade latter if you need to. 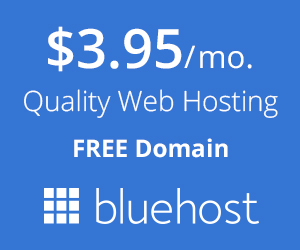 Right now, Bluehost is offering a free domain name! So now you have to choose your domain name. Choose something catchy and unique. If you need ideas, look at blog names in Pinterest, but remember, be unique. When you have an idea, enter it into the “New Domain” box (looks like the one below) and click “next”. If it is already taken by somebody else, you will have to try another one. 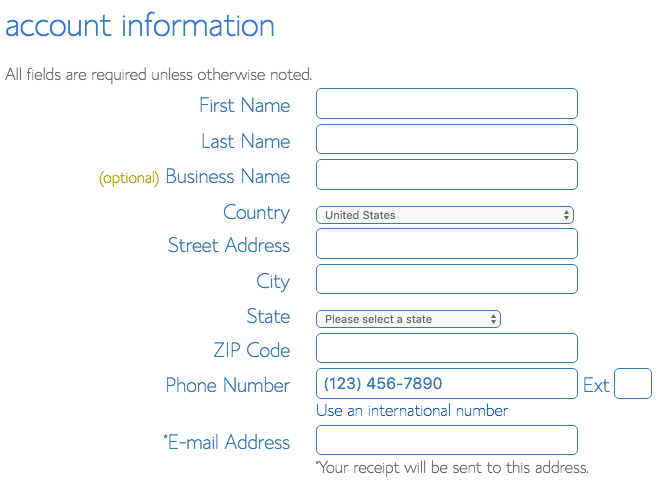 Enter your account and contact info in the next screen. 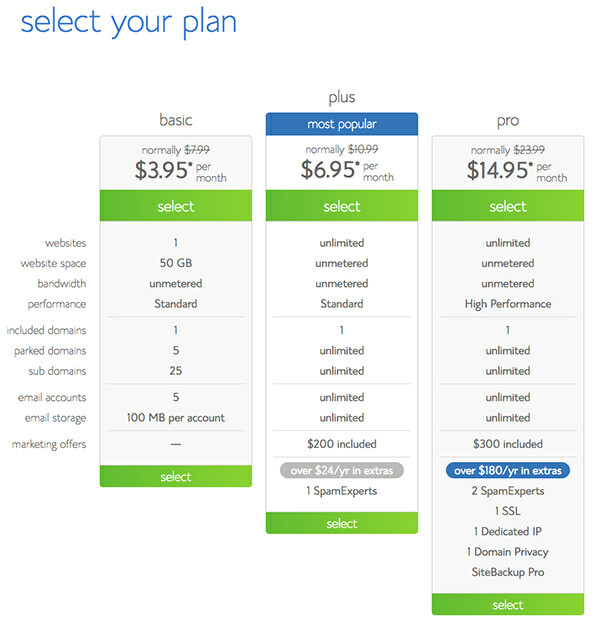 Bluehost’s best prices are offered for their 36 month plan, paid in advance. That’s where you get the best deal, and we recommend it. 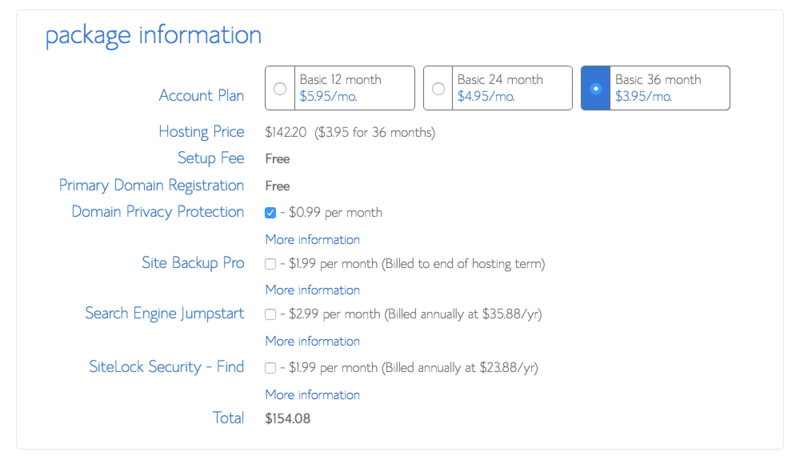 No worries though, Bluehost has a money back guarantee. It’s pro-rated if you cancel before the term is up. The only additional service you might want is the domain privacy protection. 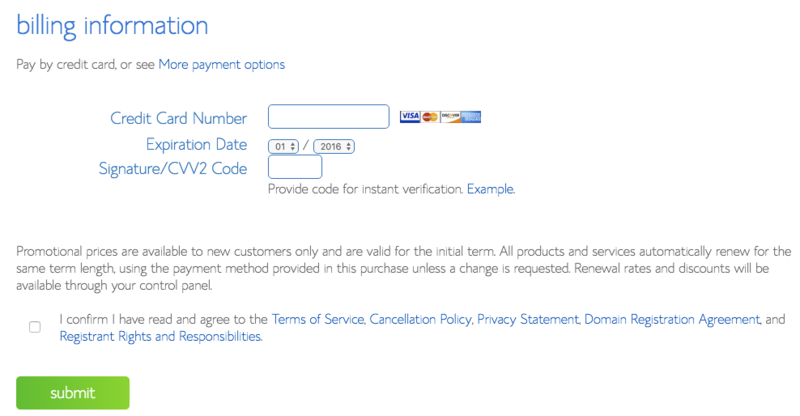 Enter all your billing info, agree to the terms of service, then click “submit”. You did it! 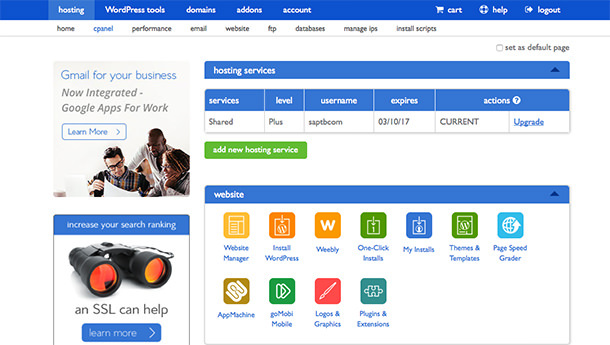 You now have a hosting account with Bluehost! Next, you need to click on create “your password”. Choose a strong and secure password, and keep it in a safe place. Enter it and click ‘create’. Log in to your account for the first time using your user name and password. 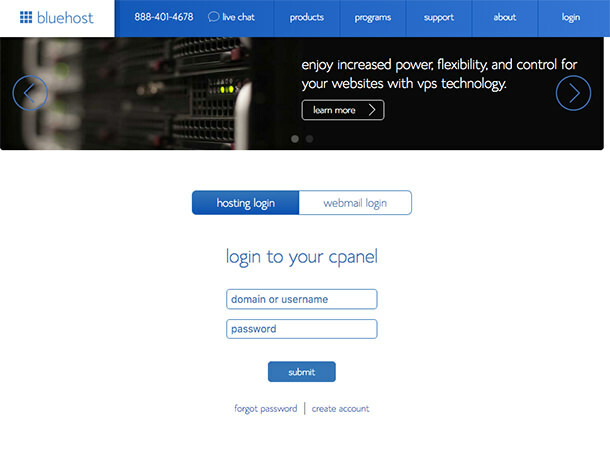 Make sure you log in to the “hosting login”, not the “webmail login”. You should see your account cpanel now, like the one below. 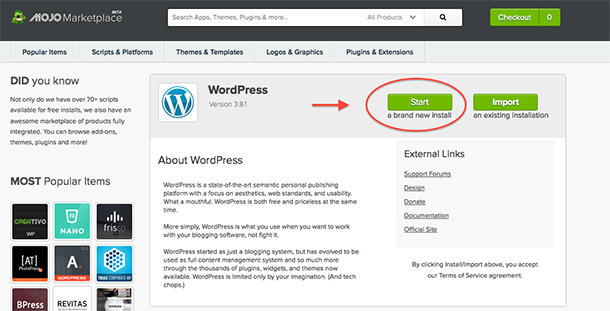 The next step is to click on the “Install WordPress” icon in the “website” section, and then we will move on to step two, installing WordPress! 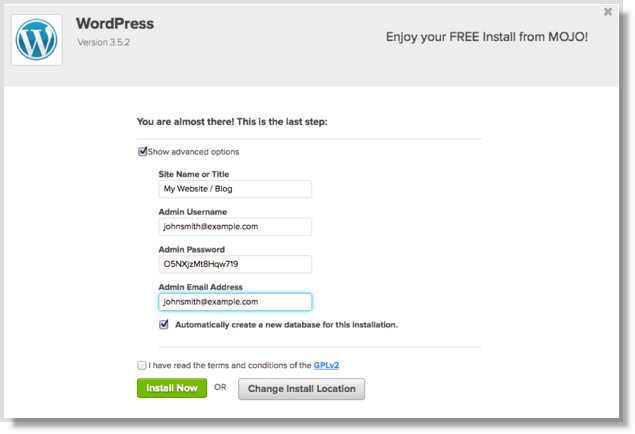 On the WordPress installation screen, click “start”. In the next screen, your domain name should show in the drop down box. Click on “check domain”. In the next screen, check “show advanced options’. You are creating a WordPress admin user name and password. Don’t confuse this with your Bluehost account and password. Name your site (it can be changed at any time) and choose a user name and password. Check “automatically create a new database” and check the terms of service agreement, then click “install now”. 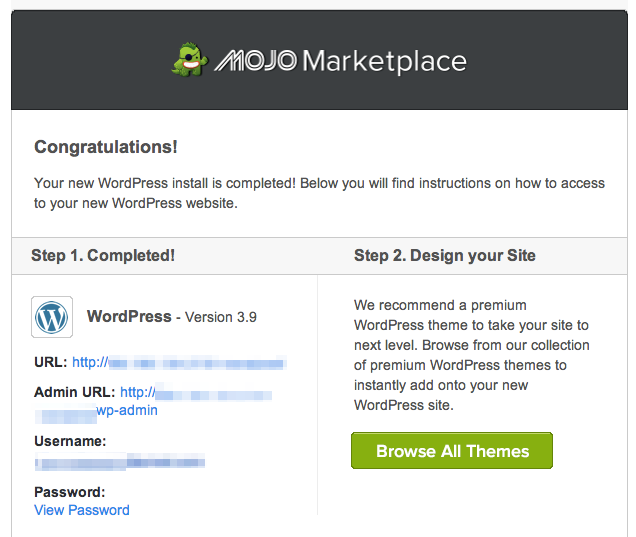 You will now see this screen while WordPress installs. Your installation is now complete! Click on ‘view credentials”. From this next screen, write down your admin url, your username and password. You can change them later, but right now you will need these to log in to WordPress for the first time. Type your admin url into your web browser and you should see a screen like the one below. 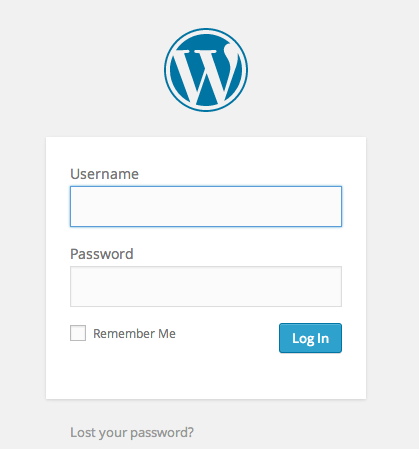 Enter the username and password you wrote down from the previous step to log in to Wordpress. Congratulations you have officially logged into your admin page for your blog! The following screen shot is what you should see. This is your WordPress dashboard. This is where you will create all the content that goes into your site. On to step three! Alright! – You are now the proud owner of your own blog! Now what? Time to choose a theme so you can make it look great! A theme is like a template that gives your site a professional look. There are many free WordPress themes available. Check out what’s available here. If you are looking for something a little fancier and more professional and are willing to spend a little, we recommend The Genesis Framework with a StudioPress Theme. This is what we currently use for all three of our blogs! Both of these work together. Head on over to Studiopress to learn all about it! 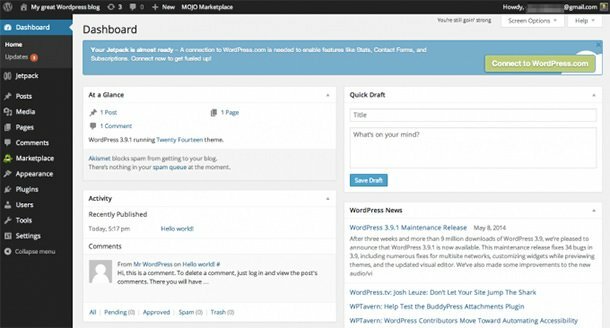 Here is the main support page for WordPress. Lots of information there on how to set things up and use WordPress. Aside from adding content and marketing your site (that we hope to go into later in future posts!) you may be wondering how you make money blogging. Here is a quick run through of some of the most popular possibilities. Keep in mind, every blog and every blogger are different. What works for one, might not work for another. And the most successful bloggers use more than one stream of income. Advertising – This is our top earner, and we use Google Adsense but a lot of bloggers use private advertising networks or take ads from private parties. This is the best place to monetize for beginners. Affiliate marketing – This basically means recommending another companies products or services, and then receiving a percentage of any resulting sale. If you pursue affiliate marketing, make sure you only recommend quality products and services you believe in… your reputation is at stake, and it’s a biggie in this industry. 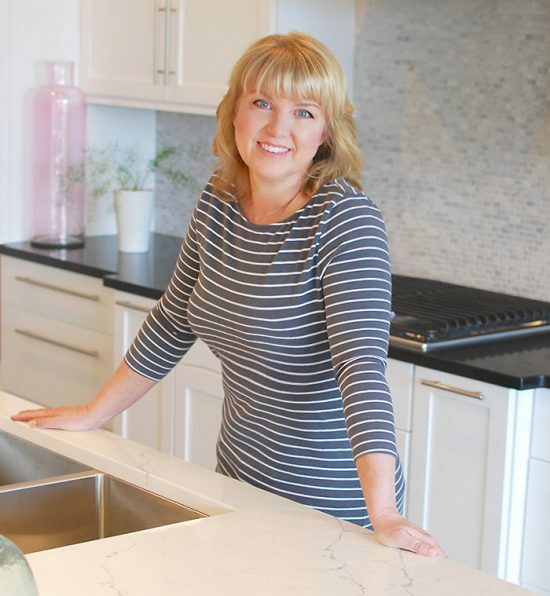 Products – Many bloggers have an Etsy store they use to sell their crafts, some create and sell informational ebooks, others create storefronts for specialty products. This is a tougher way to make a living in our experience, but definitely worth the time for someone with a product that is unique.